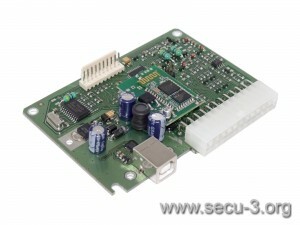 Installation of Bluetooth unit into SECU-3T ECU will allow you to connect to it via Bluetooth (e.g. from your Android device). 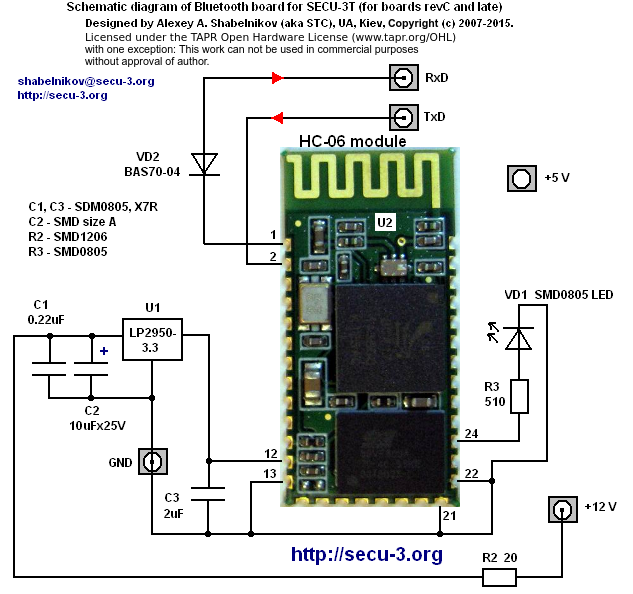 In particular, this will allow to use Android Manager for SECU-3 on any Android device which supports Bluetooth technology data transfer. So, you have SECU-3t revA or revBU4 (or later) and Bluetooth unit. We disassemble SECU-3T unit and take out PCB. 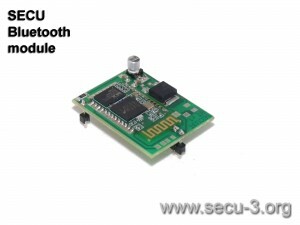 SECU-3T PCB of revision revA or revBU4 (or later) has soldering holes specially designed for Bluetooth installation. Combine pins sticking out from Bluetooth with holes on the SECU-3T PCB. Solder all pins. Picture marked as “1” shows which jumper to cut. 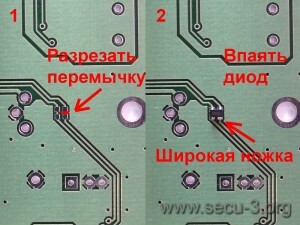 Picture marked as “2” shows installation of diode (arrow points to wide pin). 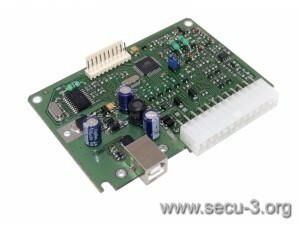 If you do not install diode, SECU-3T ECU will be accessible only via Bluetooth. 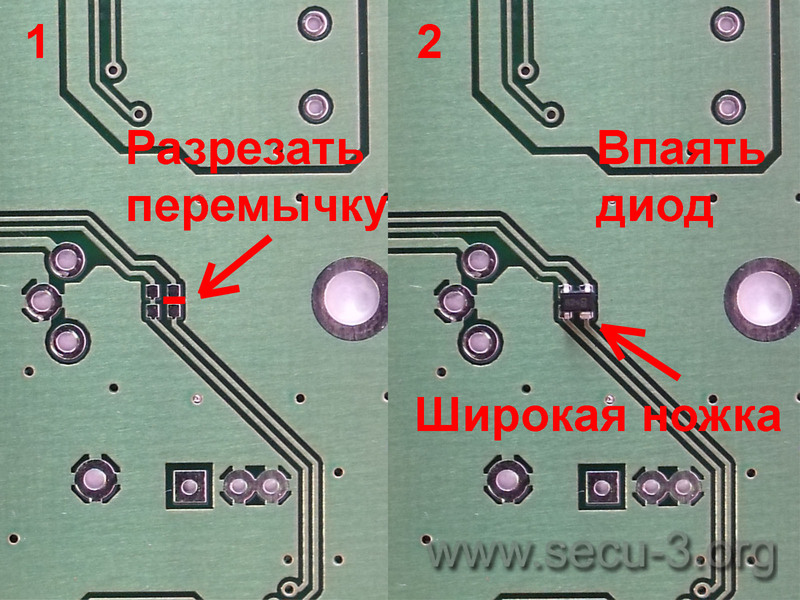 Note that it is obligatory to cut PCB jumper after installation of Bluetooth (as shown above)!